Embassy of Japan’s Japanese Jazz Series! 2016 National Cherry Blossom Festival! 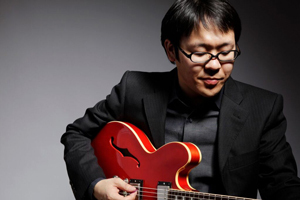 As part of National Cherry Blossom Festival activities, the Embassy of Japan’s Japan Information and Culture Center (JICC), Japan Foundation New York and Blues Alley Jazz Society is proud to host five nights of emerging Japanese jazz talent during its Japanese Jazz Series at Blues Alley. The Japanese Jazz Series was created to promote the bilateral relationship between the U.S.A. and Japan, and to enhance understanding of Japanese modern culture in the U.S.A. through the presentation of Japanese Jazz music by Japanese and American young artists, on the occasion of the annual National Cherry Blossom Festival. 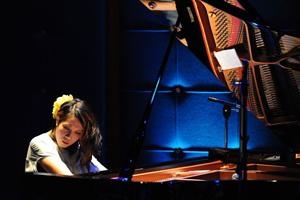 Pianist Manami Morita was born in Saitama, Japan in 1984. She started off learning classical piano at the age of 4. Unfortunately, she hated piano lessons, because she couldn’t stand all the rules in classical piano. On the other hand, she loved playing as she wanted and felt. At the age of 13, she met jazz. “Well, THIS IS AWESOME, I CAN DO WHATEVER I WANT! !” she proclaimed. A mainstay of the New York jazz scene, Nobuki leads his own group which has toured in the USA, Canada and Europe, and appeared at jazz festivals and clubs including the Montreal International Jazz Festival, the Rochester International Jazz Festival, Blue Note NY, Smalls Jazz Club, Bar Next Door and Iridium Jazz Club. He has also toured annually throughout Japan since 2004.